Lipreading Mom has a big confession to make—something I haven’t revealed openly until now. I was a Lipreading Child. For years, I was a Lipreading Child who never got help. For one reason or another, my hearing loss fell under the radar and I never received help. 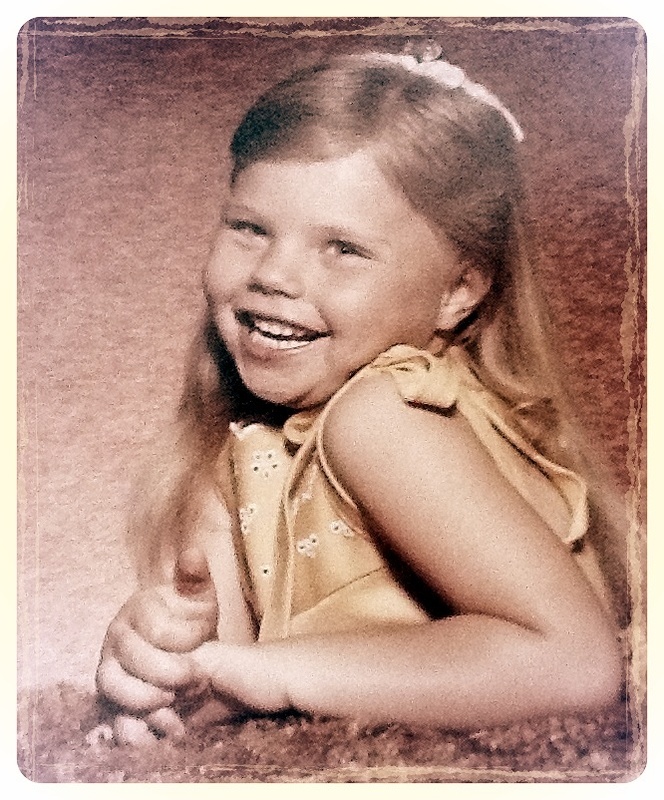 This is the first time I have written about my experiences as a child with hearing loss. Why? Because I was never officially diagnosed until the age of 27. Yet at age 6, I struggled to hear words via headphones in the classroom. My parents took me to an audiologist who quickly asserted that I did have normal hearing but that I had an attention disorder. There was no second opinion. So as a child, I was told that I just had trouble paying attention and needed to try harder to focus. “You’ve got selective hearing,” well-meaning family members told me. And I believed them—for more than 20 years. Here is my story, told in a Q&A format. Lipreading Mom: I was born into a hearing family. Deafness runs in my extended family on my father’s side. An aunt, uncle, and two cousins are deaf. When were you diagnosed with hearing loss? What was your family’s response? Nothing was done to help with my “attention issue,” either by my parents or teachers. I didn’t go to any other doctors for a second opinion. To this day I am convinced I had a mild hearing loss then that went under the radar. I did get reminders to pay attention, quit daydreaming, and get my head out of the clouds. Did you use assistive technologies (hearing aids, cochlear implants, FM systems, etc.)? Did your family use sign language? When did you realize you were deaf/hard of hearing? How did you feel about it? It didn’t sink in that I had a hearing problem until my oldest child was born. I developed ringing in my ears that never stopped. At the age of 27, I had my hearing tested and was diagnosed with tinnitus and progressive hearing loss, cause unknown. I was asked to purchase hearing aids then, but I refused to get them for two years. My hair was short, I was back at work, and I didn’t want my boss or co-workers to see that I had a hearing issue. Describe your social life in school. Did you make friends easily? What are some positive and negative experiences you feel comfortable sharing? To compensate for my “attention issues,” I tended to go back and forth between being reserved or extroverted, depending on my mood. I’ve always liked making friends, but it was difficult to know how well I would be able to understand their voices, particularly in a lot of background noise. So I tended to dominate conversations so that I didn’t have to listen. One friend, who also struggled with a diagnosed attention issue, became my best friend in 6th grade, and we remain friends to this day. I accepted her as she is, and she accepted me. Still does. Some kids made fun of us for being so close, but I didn’t pay attention to them…probably because I couldn’t hear them well! What was your family’s involvement with your education? My dad paid $5 for every A I made on a report card and $1 for every B. I accumulated a lot in savings over the school years! Both parents attended as many school functions as they could. But at one point, they both were working 5 jobs between them just to make ends meet. This was during my middle school years, and I felt like I had to work harder to keep up my grades. I asked my teachers lots of questions and made sure I took pages of notes. Being left home alone after school and many weekends made me appreciate the value of setting high goals for myself and working hard. I worried a lot, which kept me awake many nights. But I am proud that I worked so hard, and my parents were, too. Recall some good and bad teachers or professionals you experienced. I don’t recall any bad teachers, but there were several good ones. Teachers throughout elementary school told me I talked a lot in class (probably because I preferred to dominate conversations). Little did they (or I) know then that this was a coping mechanism for possibly a mild hearing loss that had fallen under the radar. The louder I talked, the more everyone listened…and this got my name written on the chalkboard with lots of checkmarks for Talking Too Much in Class. My middle school English teachers noticed how much I liked to communicate and assigned interesting writing assignments to express my thoughts. That’s when I became hooked on writing. My first job out of college was for a phone telemarketing company. Needless to say, I misunderstood much of these phone conversations and became so stressed. I never took a phone job after that. With other jobs, as long as I could face the people in which I met with or could use email, I did well professionally. The phone was always a challenge. What influenced your career choices? My love of writing encouraged me to pursue a degree in Communication with a Journalism emphasis. I also took courses in Voice and Diction, Public Speaking, and Interpersonal Communication. Today, I continue to write books, articles, and for websites. 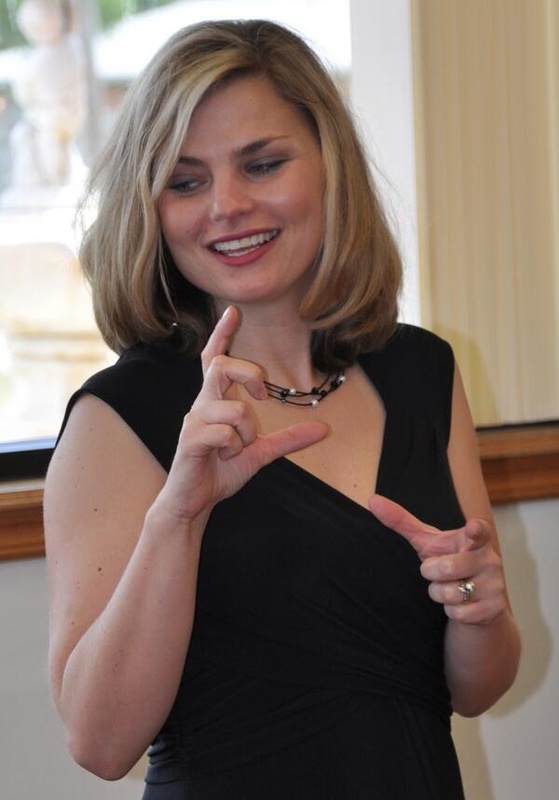 I launched Lipreading Mom Communications, in which I teach lipreading/speechreading for those, like myself, who were diagnosed with a hearing loss as an adult. I am grateful that my Communication studies exposed me, not just to writing, but to verbal communication. As a person with hearing loss, it is essential that I use proper voice and diction skills when giving a presentation or teaching a class since I don’t hear my voice clearly, even with hearing aids, and I want to project as clearly as possible. As an adult, how does being hard of hearing affect you? I identify more with the hard of hearing since I didn’t grow up deaf or culturally Deaf. As I mentioned, I love to speak, but I can’t hear 100 percent, so I use lipreading and hearing assistive technology to understand those around me. What TWO pieces of advice would you like to share? – Don’t stand quietly with hearing loss or deafness. Advocate for yourself or child by being involved in the classroom, volunteering, learning as much about assistive listening technology and sign language. Get second opinions from doctors. Always. – Put yourself out there. As a mom with three kids all in school, I try to stay involved by volunteering at school and letting their teachers know what skills I have to offer them…and that I appreciate them. In our local public schools, I feel my children (two of whom have special needs—not hearing loss), get the support they need. It is truly a team effort to plan out their school year. The teachers, paras, guidance counselors, principals, social workers, speech therapists, occupational therapists, and myself meet quarterly to review educational goals and revise as needed. In these meetings, I bring my FM system to hear and remind the team that I have a hearing loss and need to read their lips. I am a Lipreading Mom who once was a Lipreading Child. And that’s okay. Readers—Were you a Lipreading Child? Tell me about your experience by leaving a comment. I know what you mean LM, I’m a lipreading teen myself, only my hearing loss isn’t recognized because it’s within the brain, so I’m kind of stuck…I hope it will be recognized soon 🙂 But thank you so much for sharing! Great post. @apdiva – I know you can relate to this story with having auditory processing disorder. What a blessed thing to have your diagnosis, though…because now you know what to research and to find helpful resources. Blessings to you! Thank you so much. You’ve been such a great help to me! God bless you! Thank you for your insights. You have made me think about my own experiences as a deaf child and the impact this has had on myself and my family: my mother, my husband and my children. I do believe that we have choices in how we respond to difficulties in life. We can use them to build bridges that we can use in present and the future. The past is unchangeable but the future holds unlimited potential and the present is to be embraced with both arms and with joy! I grew up with a mild to moderate hearing loss and my story is very similar. My parents though chose to sweep it under the rug. I struggled in high school and finally dropped out of the pre college program to business. I finally did make it through college after recognizing what I had to do to get through, sitting in the very front row and concentrating. I didn’t get hearing aids till I was 32 and received a CI last year. My Mom told me I had a bad case of the measles so when my daughter tested with a hearing loss in kindergarten I was devastated. I swore not to ignore it like my parents did and had her fitted right away. @rkaldor – Good for you in getting immediate hearing assistance for your daughter. God bless you! Shanna, I can’t speak to this story as a parent. Nor can I speak to it as Deaf/HoH. For alas, I am neither. That being said, I think every child – at least those of our generation – know the bite of unfair, unjust, and just plain wrong analyses of our school age problems. So called professionals would tell our parents things that were believed, only because of the position of authority deeded said professionals. What I can say that addresses this issue, is as a dog owner. I know. What insight could a dog owner possibly have on this subject? Well, a dog owner often encounters behavioral issues with our dogs, that professionals can’t address. We study our dogs. We hunt for tiny clues as to why they behave certain ways. Often we find the answers that professionals could not – and often we manage to save dogs that would otherwise be put down. My point is that parents shouldn’t just pass off their kids’ problems to shrinks, doctors and educators. They need to involve themselves personally with their kids. Try to find reasons why a kid is behaving a certain way. Look behind the scenes, and read between the lines. Learn how to identify clues. If one loves their kids, it’s the least they can do. @bitcodavid – As a dog lover myself, that makes a lot of sense. My family has adopted three rescue dogs. Two dogs had heart murmurs, and one was so active, he could never be house trained. Yet we didn’t brush them off and send them back to the shelter… And with children, you love them, persevere, and get the best help you can find. As parents, that is our ultimate responsibility. It is a high calling. @onewomanschoice – Thank you for reblogging my story. Blessings to you! My hearing loss was diagnosed in second grade but my parents did not have me treated. I think it was considered shameful back in the 60s to have any kind of disability, especially one that requires you to wear a box around your waist with a wire going into your ear. That’s what hearing aids looked like then. I got my first hearing aid in 1982, and I was afraid to show my mother. I was afraid that she got mad. She finally found out and then said that she wishes she had gotten me treated sooner. But, I grew up feeling isolated, incomplete, misunderstood, and unconfident. Fortunately, I am growing out of all these feelings now (at age 57) but I still know that my hearing loss defines me on some level. Lori – I applaud you for taking the initiative to get yourself hearing help. As you know, our parents probably did the best they could considering the technology and societal limitations back in the 1960s and ’70s. Thank you for commenting. We can all learn something from your story. I don’t have hearing loss but appreciate that you are so upfront with sharing your experiences. You are helping many with your insights. Kathryn – Thank you so much. I am excited to now be following your blog! I am a teenager with moderate bilateral hearing loss, diagnosed when I was in kindergarten. My mother told me that when I was diagnosed, the doctors told her that I would be in Special Education by the time I reached high school. Now I’m going into the 11th grade, taking Gifted and Talented/Advanced Placement/Dual Credit classes and actually doing well. 😀 I haven’t let the bad attitudes of others and the struggles keep me from performing well in my school or social life. Every year my mom meets with administrators and a whole team of people to get me the help that I need, whether it be captions, written notes on lectures, seating preference, or the use of an FM system. I’ve been fortunate enough to have hearing aids since kindergarten and I have never once been truly bullied because of them. In elementary school, they actually made me pretty cool! 🙂 Life as a hard of hearing student has made me proud of who I am, knowing that I’m not like everyone else and I’m okay with that. The support of my family and friends has always helped me through the tough times when I rejected my loss, and made me happy to be where I am today. My boyfriend and I have decided that if we have children with hearing loss we will try our best to instill in them the pride and self confidence that I have. No matter what, we will teach them to hold respect for those who suffer from hearing loss, no matter whether our children are hearing or hard of hearing or Deaf. We hold it to the upmost regard that those with and without hearing loss become aware so that they may then teach others to be aware. Growing up with hearing loss can be hard, but it’s sites like these that help kids like me realize their true potential. @marsthemartian – That’s an inspiring story. Thanks so much for sharing it with us all. Fantastic share. I will be sharing with school personnel who have sometimes come to similar misconclusions. It’s getting better as our screen programs are communicating with the other staff better. Eileen – Thank you for your kind words. I hope my story helps a lot of other students. I really relate to you here. I was a lip reading child. I learnt to read (books) very young and used to read a lot, and yet my spelling was awful. When I was in grade 6 a teacher suspected something was wrong , and I was sent to a learning strategist for psycho educational assessment. I was diagnosed with a writing disability and an attention disorder. In junior high I had a teacher who was hard of hearing and called my mother to inform her that she believed I too was hard of hearing and should have a hearing test. And I did, and that one audiologist said everything was normal and I just had ADHD so I didn’t respond to every time produced, though I responded to high frequency tones, so she was I confident I could here. My friends always just thought I was quirky wanting to sit directly across from them and never next too them. It wasn’t until university, where my teachers were no longer high pitched females but low pitched male professors that it occurred to me that I should have my hearing tested again. I did and found I out have severe reverse sloping low frequency hearing loss. I was fitted with hearing aids, and no longer had ADHD symptoms, and I learnt to spell, being able to hear all of the sounds in a word. I still read lips but now people know that I am deaf, not quirky. Vicki – You have an amazing story. Thank you for sharing it and allowing all of us to learn more about experiences with undiagnosed hearing loss. I wish the very best to you. LM – I have always struggled with my rubella hearing loss. I am 67 yrs. old. I can relate totally to your experiences. I always felt different and lost growing up in a super small town. I ever saw hoh/deaf children or sign language growing. LM, thank you for creating this forum. I identify with so much of what I am reading. Like you I worked hard at learning when I wanted to, but all those years of being told to “stop day dreaming” and “Get you head out of the clouds” and yelled at for not listening or laughed at for not understanding or hearing what others heard made me very dysfunctional and so I never finished my education or had a decent career. Lori Gillen, I had the same experience. Although I did have one of those clunky hearing aid devices back in the early sixties when I was in second grade. I was embarassed by it and resisted using it, and I was not encouraged to do so. 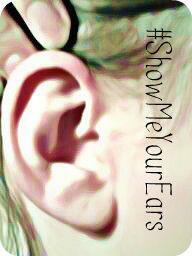 I also knew my hearing loss was something to be ashamed of, so I spent my whole life covering it up as best I could. I was either wildly out going and chatty to dominate the conversation or pretended to be interested in something else. I was 57 before I worked up the courage to get a set of hearing aids and was also afraid to tell my mother, I think just because it meant I was no longer pretending there was nothing wrong with me. Although I must say the aids are very expensive and don’t help very much. Susan – You are welcome. And thanks so much for supporting this site. I am also a Lip reading mom of three! I learned to read and write before I went to kindergarten, so I had a head start academicly which may have been to my detriment. I failed every hearing test the school screenings gave. I remember as a small child going to the health department and going into a room with at least 4 adults seated at a long table and I was standing in front of them like I was on trial. I wasn’t upset at the time and didn’t understand what was going on. Heck, it was dim in the room so I couldn’t hear what was going on anyway. I later learned that because I had failed all the hearing screenings, the school referred me to the health department and that was a meeting to decide what to do with me. I must admit, I am drasticly underinformed about being deaf and how children are treated when hearing impairment is discovered. The best I can gather is that I’m missing specific frequencies that are mostly in the range of speech. So, I can hear people talking, I just can’t understand much of what they are saying. My current audiologist told me that with my type of hearing loss, there was not much that could have been done to help me back then with analog hearing aids. I don’t need all volume turned up, just the frequencies that I am missing. I’m told older technology would have blown out the hearing I do have. At least that’s what I’m told. So, I muddled through with reading everything I could get my hands on and sitting in the front of the class, taking lots of notes and asking questions. Things went well for me in high school. I had fantastic grades and a fair number of good friends. 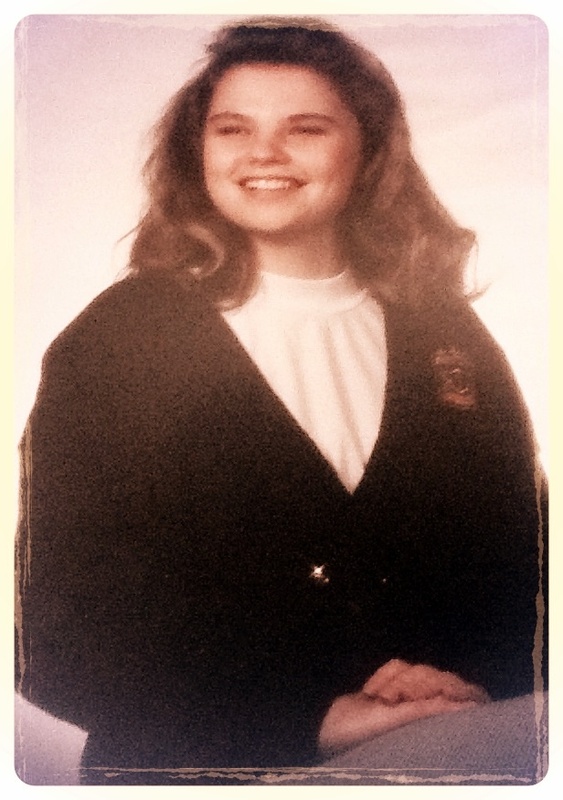 Despite my intelligence, I always came off as a “Dumb Blonde”. It is much harder to fill in the blanks of conversation when you are not in a one on one conversation. If I was with a group, it was always interesting what I thought people said vs. what people acutally said. Thus the I came off as a”Dumb Blonde” or a Ditz. I really didn’t care though. My grades spoke for themselves. I was in all the highest level classes and usually dominated those and everyone knew it. Besides, blondes have more fun and it made me less intimidating to other boys my age. I’m always looking for my blessings. College was easy the first couple of years. It was just a review of my high school classes. I could read the texts and sit up front. All my strageties worked well. Then, I went to my professional classes. My first semester, I had a 4.0 in all classes but one. I failed it. I had never failed at anything until then. I was called to the Dean’s office to explain myself! I broke down and admitted that I could not understand anything that professer said and she didn’t have a text book so I was completely lost. That lovely professor was brilliant, but very shy. She looked down at her notes almost exclusively and used not text. I taped (showing my age) her lectures and replayed them over and over but still could not understand what she was saying. This caused me to have to take the class again over the summer. That was fine. I studied my old tests and managed to pass the class, but barely. The next year I had a professor that sporke very heavily accented English and he was a massoginist to boot. (Heavy accents are hard to lip read. Depending on the language, the lips don’t shape the same way and make similar sounds, but not the same.) I was not allowed to ask questions as I was female. Goodness, it was bad enough women were allowed to go about unescorted, let alone allowed to speak without permission. The text only covered a portion of the material so I ended up failing that class too! The big deal is you can’t take the next three levels until you pass this, and they are only taught once a year. If you fail a class, you are behind a whole year. This is when I insisted on having my hearing tested again. My parents belonged to an HMO at the time and I could only use their facility. A very basic screening was done. I could hear some, so I was told I could hear basic sounds well enough and I was in the normal range. Now I know that those all inclusive HMO facilities were all about denying care to keep costs down. If I had sprung for a real audiologist, my path may have been very different. I became very depressed. Thankfully I met my now husband and he was the biggest support in my life when I needed it the most. He helped me make it through to graduation. He was not in my field, but he would help me study through the night. I would review and review, then wake him up and he would quiz me. That man never complained once. In my field I had to work as an intern over the summers. I ran into another situiation where I couldn’t understand people. Background noise was the bane of my existience. Again I had my hearing tested, and of course with the same insurance got the same answer. However I made it to graduation, got married and then passed my state board exams. Work was always difficult with background noise, but I managed to find techniques to cope. I had my first child in 1999. I got a lot of complaints about how loud my son was when he talked. I had twins in 2002. They were premature but had perfect hearing. However, thay had speech and language delay. My husband begged me to get my hearing tested again. I had been so frustrated by the process over the years I didn’t see any point in it, but eventually I gave in to make him happy. I was shocked to learn I was a great canidate for hearing aids. My audiologist wondered how I had made it through life without them with my hearing the way it is. My hearing is classified as moderate to severe hearling loss. (How can it be a loss when I never had it 🙂 ? ) She was able to tell me it is a genetic form of hearing loss that is an X linked type. My hearing loss is not progressive, but it is heriditary along the female line. Fortunately my daughters do not have this hearing deficency, but they could pass it along to their female offspring. I had one hearing aid for a few years and I loved it. When I went back to work full time when my twins went to kindergarden, I got one for the right ear. What a difference it made to be able to hear well bilaterally! I did contract a virus that reduced the hearing I did have by 25%. Steroids reversed much of that but not all of it. To cope nowadays, I tell the people I work with or in social situiations that I’m deaf and I read lips and if I can’t see them, I can’t understand them. I grew up filling in the blanks for what I couldn’t hear. I became good enough that people forget I can’t really hear them. I have a good time training people to look at me when speaking to me now. When they forget I need to see them, I repeat back what I thought I heard them say. “What? We should all work without our tops on? !” It is a fun way to handle what is a very frustrating disability. I don’t know what correct term is to describe my hearing. I have found however, that telling someone I’m hard of hearing doesn’t help at all. When I say I’m deaf, then they tend to cooperate more. I feel more comfortable with deaf, than HOH. I think it conveys the level of my hearing frustration more accurately. For a long time I felt like if I admitted I had a hearing problem, I would be looking for special treatment that I didn’t deserve. I’m not used to taking the easy path in anything, but I’m getting older and I’m able to accept that I don’t have to be so fiercely independent any more. This is a very long reply. I don’t expect you to post it. It just helps to make a connection with someone that really has walked in my shoes. Christina – Our stories sound so much alike, I am speechless!